Every Mercedes-Benz vehicle for sale near Benicia at Mercedes-Benz of Fairfield has been meticulously engineered and manufactured to precise specifications, but even the most expertly built vehicles demand attention and coverage–and the Mercedes-Benz warranty offers that. Find out what you’ll get from Mercedes-Benz warranties, and then schedule an appointment at our Mercedes-Benz service center in Fairfield! You also have the option of supplementing your New Vehicle Limited Warranty with an Extended Limited Warranty. There are many different Extended Limited Warranties, including coverage for up to 3 years/100,000 miles. When you buy a Mercedes Certified Pre-Owned vehicle from us, you’ll also get generous manufacturer warranty coverage, beginning with a standard 12-month/unlimited mileage CPO warranty, in addition to any remaining time and mileage on the original New Vehicle Limited Warranty. The CPO warranty offers similar coverage to the New Vehicle Limited Warranty, including diagnostics and Genuine Mercedes-Benz Parts. If you’re interested in extended coverage for your CPO Mercedes-Benz vehicle, you can also opt for a Mercedes-Benz Certified Pre-Owned Extended Limited Warranty for an extra 1 or 2 years, both of which include unlimited mileage. Get Mercedes-Benz Service Near Napa at Mercedes-Benz of Fairfield! 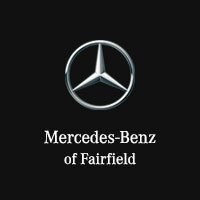 Count on the certified Mercedes-Benz technicians at Mercedes-Benz of Fairfield for first-rate Mercedes-Benz service. Whether you’re looking for Premier Express maintenance or major Mercedes-Benz warranties repairs, we’ve got you covered near Vacaville at 2950 Auto Mall Pkwy in Fairfield, CA. We’re open for service Monday through Saturday, and you can reach us online or give us a call at (707) 430-0102. 0 comment(s) so far on What is the Mercedes-Benz Warranty?